What did you like most about The Real Great Escape? This book has had such good reviews this year and the audio book lives up to these expectations. It is so topical at this time of year when we are faced with re-runs of the 1963 film, The Great Escape on television. The build-up to the break-out is gripping. 40 per cent of the men who emerged from the tunnel codenamed 'Harry' were non-British (they included Poles, Czechs, Australians, French and Danes) and that the three ultimately successful escapers were two Norwegians and a Dutchman. Walters also emphasises that the escape was crucially aided by the complicity of some of the captors who provided money, maps, radio equipment and even a camera, usually in exchange for much coveted coffee, soap and cigarettes from Red Cross parcels. In 1942, the Germans did build a high security prisoner of war camp for officers and former ‘escape artists’ called Stalag Luft III. The leader of the escape team was Squadron leader Roger Bushell. The narration was done in a 'documentary' style which was entirely appropriate to the story and added credibility. I was very involved with the story. This book tells it how it really was and it is a fascinating historical novel which ‘lets slip’ some insights in to how cinema created such unreal perceptions. Such as the fact that in the prison camp, the officers were not mainly British, but were from all over Europe, mainly Poland. This is a book which would make a great gift for dad’s and grandad’s and for everyone who is a fan of the 1963 film. 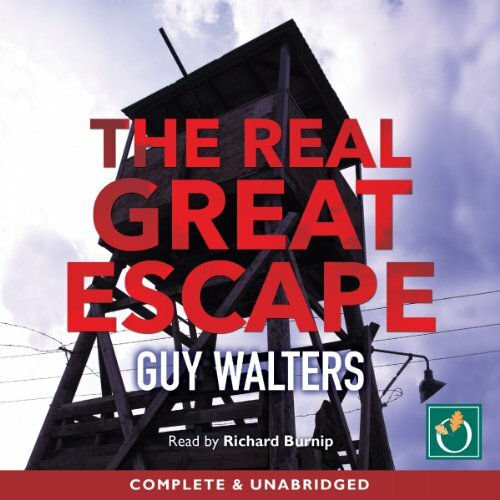 The story of 'The Great Escape' is well known and admired for its daring and spectacular attempt to disrupt the German forces on their home front. This book, however, asks some critical questions - not least of which is, should it have actually been attempted at all? This incredibly well researched and detailed book looks at the central characters on both sides. Explains the similarities and differences between the commonly known accounts of the escape and the actual records pertaining to it and the individual experiences of the escapers themselves, before during and after the event. It looks at the reasons why the 50 were shot and insights into the motivations of those who executed them. I loved the famous all star film. I have seen documentaries and read previous accounts. Without doubt, this is a brilliant book, well balanced and a fitting story for the REAL Great Escape. A must for any WW2 history buff. A brilliant telling of the full story. Forget the film, this is definitive. Fantastic. Recommended. A thoroughly researched and enlightening account. I was engrossed from start to finish and will seek out this author in the future. Highly recommend. The Audio is well narrated and guess what? No mention of a Motor bike being used to escape. No Hollywood fantasy in this Audio. A well-written, thoroughly-researched reappraisal of the famous escape. An essential read if you are a ww2 history buff. Richard Burnip’s narration is excellent. Although keeping all the names straight was difficult at times the book was well structured and will read. An impressively thorough tour de force. Simply amazing. Guy Walters must be commended for his painstaking research and vivid writing. The book was read beautifully by Richard Burnip, with subtle, yet tangible, intonation to highlight a German speaking. I cannot recommend this book highly enough. Not a single bad word. this is an excellent view of the Great Escape that will kep you intrested once past the slow start.. You will cheer, cry and shout in good measure.